This is a class for those who are interested in teaching their dog a safe and effective jump style. 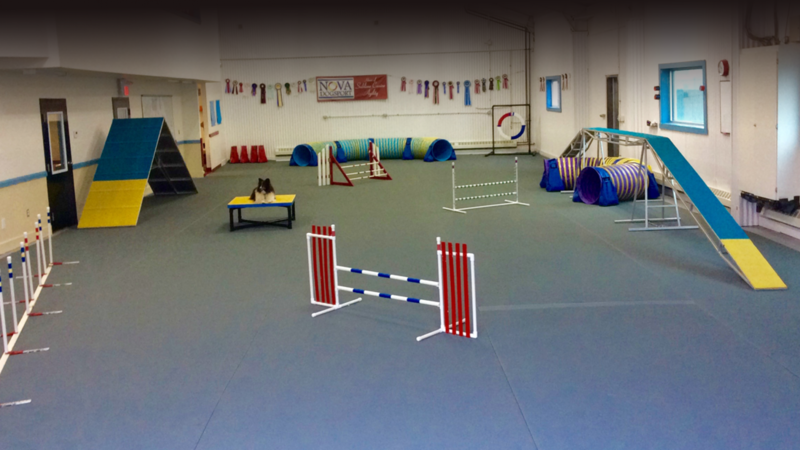 The class is appropriate for those in foundation agility, pre-competition, and competition dogs. The goal of this class is to give dogs the foundation skills for getting over the bars safely and effectively through proper mechanics (one jump work), athleticism (exercises), and choosing appropriate take off points (grids). These three elements work together to give dogs confidence and capacity to perform jumps well, leave the bars up, and lessen the chance of long term injury. Because dogs are usually enthusiastic and natural jumpers, the performance training for bars is often left to default. This often results in over-jumping, early take-offs, and bar-dropping. Inappropriate jumping style may get the dogs over the bars, but they are often straining their psoas muscles and putting extra wear and tear on their bodies. The newer, more technical courses and difficult approaches compound the difficulty of the jumping effort, resulting in more strain on the back and knees. This course will give you the tools to teach your dog a safer, more effective jump performance to ensure success and longevity in their agility career. NOTE: This is not a handling class. Performance skills for jumping only will be covered.